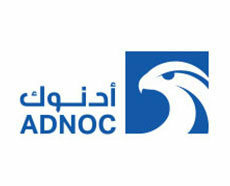 ADNOC Logistics & Services provides shipping, offshore logistics and onshore services. As a global integrator of maritime logistics, the company leverages its international shipping excellence and diversified services expertise through three main areas of activities: shipping, offshore logistics, onshore services. ADNOC Logistics & Services manages a comprehensive fleet of over 120 vessels and a logistical base of over 1.4 million square meters. Its comprehensive offering plays a considerable role in a broader ecosystem both in Abu Dhabi and internationally. ADNOC Logistics & Services serves ADNOC Group as well as international customers, facilitating the development of the UAE’s energy industries, fortifying the nation's position as a global energy provider, and contributing to its overall economic growth. ADNOC Logistics & Services CEO, Captain Abdulkareem Al Masabi took over the reins in April this year after a successful period as executive vice president at Abu Dhabi Ports. KOTC owns a distinguished fleet of Ships that consists of 28 tankers, divided between 12 Very Large Crude Oil tankers, 12 different petroleum products tankers of various sizes, and 4 gigantic gas tankers. The total cargo of the fleet is 4,7 million metric tons, which is the equivalent of 339,387 million oil barrels, and the average age of the fleet is 7 years. The company was keen to modernize its fleet through building tankers that comply with the latest international designs and that have the latest technical and technological features. In addition to that, the new company's tankers are considered to be an example of the environmental friendly tankers, as they are equipped with systems to limit gas admissions from the oil cargo as a result of temperature variation and the change of weather while sailing from one port to another. The Marine Agency branch provides services for more than 1,400 tankers that visit Kuwaiti ports every year. The Marine Agency branch is divided into 3 main departments that include several sections which cooperate to provide services for all tankers that visit Kuwaiti ports, in addition to providing services for the companys crew members. 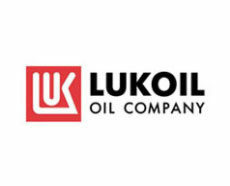 In 1960 the company was granted the right to market and distribute the Liquefied Petroleum Gas (LPG) in local market as an alternative to other types of domestic fuels. In January 1962, the First Gas Filling Plant was constructed and put into operation at Shuwaikh Industrial Area with production capacity of about one million cylinders (12 kg)per year. However, with the increase in the population, it became necessary to increase production capacity to meet local market consumption. In 1985, all LPG Operations has been transferred to Shuaiba Industrial Area where New Plant was built to serve the whole market demand with idle production capacity of 6.5 million Cyl./year. Authorities to allocate a land at the north side of the country in order to serve the urban expansion of residential areas at the north of Kuwait. The state authority granted the company a land in Umm Al-Aish Area. Consequently, the company has signed a contract with international contractor in late 2010, to design & build a new LPG Filling Plant. In early 2015, the new plant in Umm Al-Aish area has entered into service with idle production capacity of 14.5 million Cyl./year. with such production capacities using the state-of-the-art- technologies of both plants, the market demand will satisfied till year 2030. The company pays a lot of concern in providing assurance of quality and safety of this service to consumers in state of Kuwait. 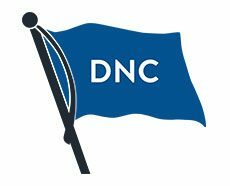 We are a premier Ship Chandler / Offshore supplier based in the UAE. 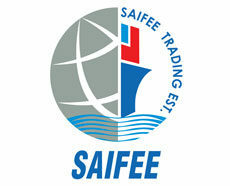 Saifee, over the past 47 years, has successfully developed as one of the leading and most reliable partners to the marine & offshore industry in the Middle East. With an aim to provide clients across the globe with a cost effective, quality conscience and around the clock supply solution, Saifee maintains an inventory of over 40,000 line-items, specializing in all areas provisions and technical stores, which are available for immediate supply. We are a fully ISO certified organization, operating from a SQFT350,000, facility situated strategically in heart of industrial Dubai. Our attention to detail, commitment to quality and service has earned the SAIFEE brand a leading reputation amongst major global and regional Tanker and LNG vessel operators. Our continuous investment in infrastructure, human resource and technology ensures that we are able to provide a competitive, and quality based supply chain solution to all of our partners. With a highly skilled and experienced team of professional in the Marine Industry we are able support our clients’ requirements right from the planning phase of a project, through execution, commissioning & providing after sales support. 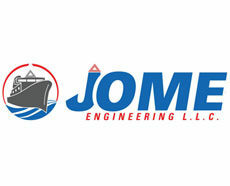 We work closely with various manufacturers and support customer’s vessels trading in this region with their after sales service requirements and supply of Machinery parts. Our state-of-the-art workshop which spans over an area of 160,000sq.ft and is equipped with latest machinery which aptly backs Our skilled service team who can provide on-board repair services round the clock to the Marine and Offshore Industry. Seamaster Maritime L.L.C. Dubai, with its branch offices in Dubai (JLT), Fujairah, Khor Fakkan, Ras Al Khaimah and Sohar (Oman) is able to physically cover all ports in the UAE and Oman. With a strong presence and a total staff strength of 70 team members, successfully handling over 1,000 vessels per year all over the Arabian Gulf for the past 19 years. Seamaster Maritime L.L.C. and its assets are fully insured, having a $10 million Professional Indemnity cover with ITIC - London, with additional supplementary insurances to protect and bring peace of mind to its customers partners and interests. 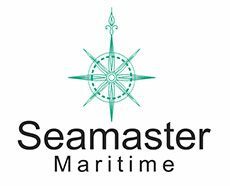 Besides ship agency services for all types of vessels, Seamaster Maritime L.L.C. offers dry-docking attendance, freight forwarding, ships spare clearance and delivery, project and heavy lift cargo, STS operations, gas logistics services, bunker surveying, warehousing, in-house broking and chartering. Seamaster Maritime L.L.C. 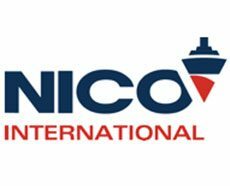 owns & operates 4 mini-supply vessels in the UAE, two warehouses (Dubai and inside the Port of Fujairah) and our own fleet of vehicles for crew changes, transfers and logistics services. All our offices are physically manned and run 24/7, with a round the clock contact number readily available.